Hard to believe that the year is over. I guess what they say is true...time goes by faster the older you get. To celebrate the end of the year, here are the top 10 most popular pages viewed by you on my blog. This is a new cupcakery in Orange so it makes sense that people are buzzing about it. #9 Does Orange County Know Its Cupcakes? 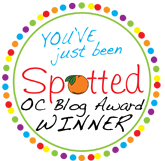 Looks like you are curious about the most popular cupcake shops in Orange County. Was yours on the list? 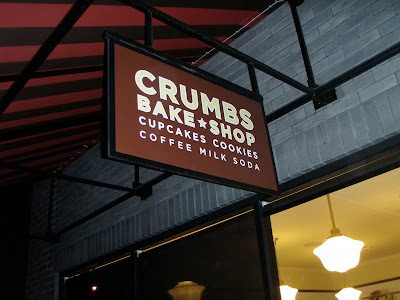 My first trip to Crumbs was heavenly. I've been back several times since. I was fairly surprised to see so much interest in a cupcakery from Utah, especially since I'm based in Orange County. 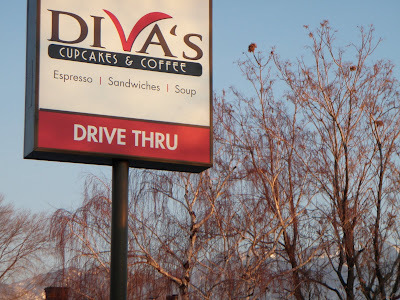 But I've noticed that the cupcake world has really expanded in Utah over the past year. You can always find some cutely-decorated cupcakes at Whole Food, but it's true about people calling it Whole Paycheck. 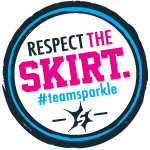 #5 The Sprinkles Truck is Here! 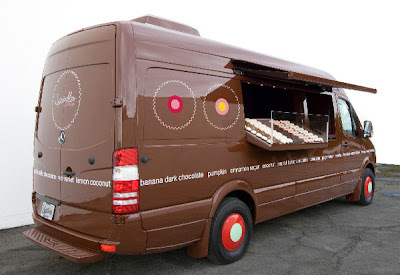 The concept of cupcake trucks exploded this year! Although it's been happening in New York for quite a while, Sprinkles was one of the first to bring it to the west coast. 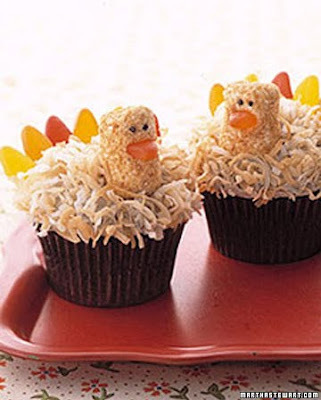 Looks like you guys are making cupcakes more often for holiday parties! 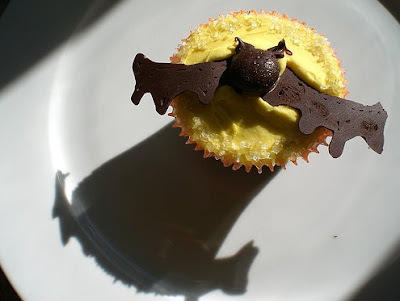 There are some great ideas for decorating Halloween cupcakes. 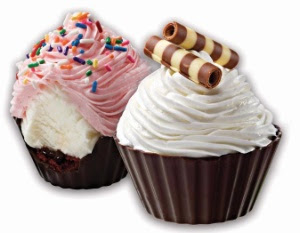 Cold Stone introduced ice cream cupcakes to us this year and they were a hit! What a great idea of combining ice cream and cupcakes. 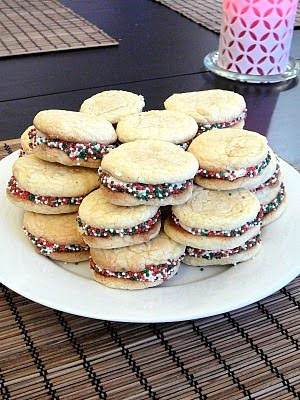 Red Velvet is one of the most popular flavors of cupcakes, but how about putting it in cookie form? 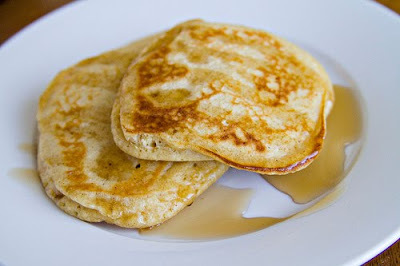 The result....delicious! Looking forward to many more cupcake adventures this next year. Happy New Year! A day that I try a new cupcakery is always a great day. Today was a great day. Divine Desserts Etc opened about nine months ago. In retrospect, I shouldn't have waited so long to finally make it to their shop. (So much time wasted not eating their cupcakes!) Today was the day I finally learned about their cupcake specialness. Divine Desserts is located in Laguna Niguel. They sell cupcakes, cookies, muffins tops, and frosting shots. Today was my lucky day. I was invited to a special VIP media event at Divine Desserts. I grabbed my friend and my brother and we were off to meet Divine Desserts. Todd and Leslie Lewis are the owners of Divine Desserts. They greeted me with big smiles and introduced me to their store. First bit of business: a grand tour of the kitchen. LOVE the pink and light blue mixers! I learned that they can bake 100 cupcakes in 20 minutes. Next stop: cupcake tasting! All of the cupcakes in the display cases were baked especially for this media party. I had such a hard time choosing flavors because there were so many interesting new choices! I think this is a great quality that sets them apart from other cupcakeries. We had no problems digging into the cupcakes. The only problem was looking good while eating them (yes, that's Angry Julie...sorry this was the only photo I had of you!). Julie's favorite cupcake of the day: Banana. My brother, Eric is an eating machine and a reviewer for my blog. 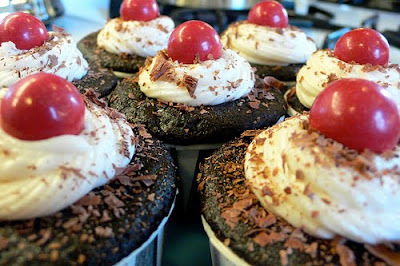 His favorite cupcake of the day: Black Forest (chocolate with cherries). The reason I brought my friend Kristina is because she shares my passion for eating. She is actually at a higher level of food-love than I. Her favorite cupcake of the day: Smores. Ever tried a frosting shot? This was my first time. Wow! Pina Colada was a great choice. Like I mentioned before, Divine Desserts also sells cookies and muffin tops. 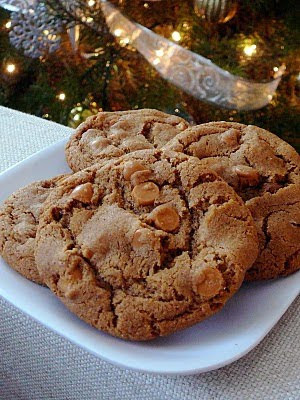 Chocolate chip cookies are my second favorite dessert (behind cupcakes, of course). One of the best chocolate chip cookies I've ever eaten! Still baffled how I left the store without trying a muffin top. Kelly, from Just Spotted, brought her kids to the event. They were so excited to be eating cupcakes! Kelly's baby girl got in on the action too. I'm pretty sure this was her first frosting shot! A film crew from Greer's OC was there to shoot a commercial. This may be my on-camera debut! 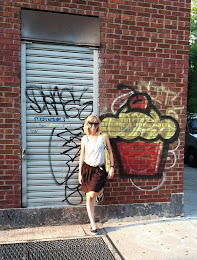 I love the cupcake art adorning the walls of the shop. I would love something like that for my house. Verdict: So what did I think of Divine Desserts? DELICIOUS!! To tell you the truth, I wasn't sure what to expect from them since they are a fairly new cupcake shop. But I was blown away by their flavors, their service, their presentation, and of course their taste. My favorite cupcake of the day: Red Velvet. I know this is cliche, but there's something special about Divine Desserts' Red Velvet. They wouldn't tell me what it was, you will just have to try it yourself. Lucky me...they sent me home with some cupcakes to share with my family. Boy did they love them! Divine Desserts, thank you for the fun event and the delicious cupcakes! Keep baking great cupcakes and I will keep coming back! Cupcakes are $3.00 each. They offer 20 flavors every day, which rotate frequently. Christmas came fast and left just as fast. I'm sad that it's over already! I hope you all had as great of a Christmas as I did. Last night I was able to catch "Cupcake Wars" on the Food Network. I really enjoyed watching the cupcake competition. I was sad to see Monica from Two Parts Sugar eliminated in the first round because I know firsthand that her cupcakes are delicious. It was kinda funny that the other three competitors all used mango in their first-round cupcakes and all designed a dress display. If you missed "Cupcake Wars," you can still catch it on January 2 at 4:00pm. Today I get to try some new cupcakes. I'm attending a media party at Divine Desserts in Laguna Niguel. Divine Desserts opened at the beginning of this year, but I hadn't gotten to it until today. 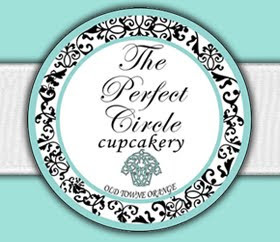 Looking forward to trying some new cupcakes and meeting new cupcake people! 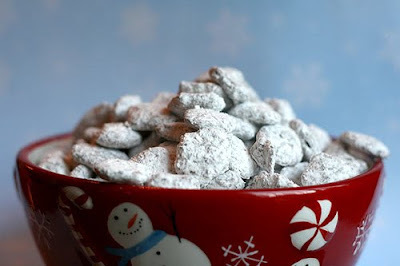 Yesterday I posted some last minute holiday treats, but I didn't include any cupcakes. 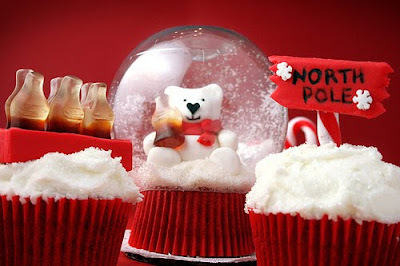 Christmas wouldn't be complete without cupcakes, so here are a few ideas for all of you last-minute bakers like myself. Have a Merry Christmas! Giving back has it's perks. The Sweet Tooth Fairy in Provo, Utah is sponsoring families in the United Way program, Subs for Santa. You can help and be rewarded too. Before 2pm on December 24, bring an unwrapped toy for a child between 18 months and 14 years of age into Sweet Tooth Fairy and received a FREE CUPCAKE. They are also taking cash donations for this program. SusieCakes has also been doing a toy drive in exchange for a free cupcake at all of their locations. The toy drive ends today (December 23). I haven't been to The Sweet Tooth Fairy yet, but I should be trying them out in less than two weeks. 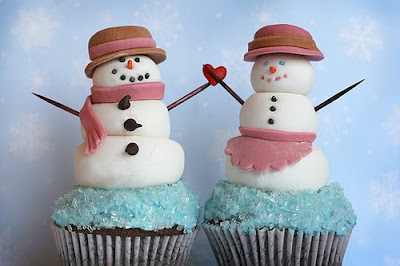 My husband and I are traveling to Utah to do some snowboarding again and I plan on visiting many, many cupcakeries. Can't wait. Let me know if you have any recommendations! 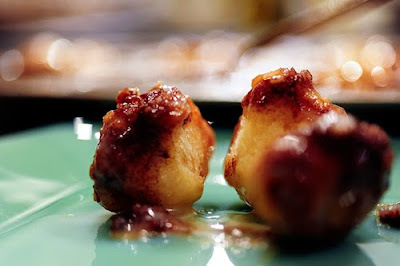 My favorite part about baking is seeing the expression of joy on someone's face as they enjoy a dessert that I made. Imagine how much bigger that smile would be if that person was a vegan. They would realize that you made that dessert specifically for them. 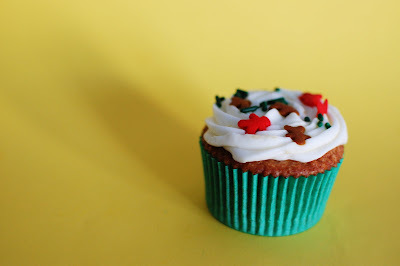 Party Cupcake Ideas posted a great article about preparing vegan cupcakes for the holidays. If you have some vegan family or friends, I would definitely suggest checking out this article so can share the joy of cupcakes with them too! 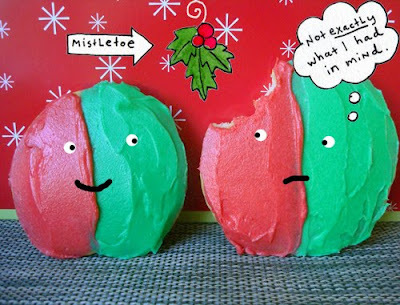 Can you believe that Christmas is only a few days away? I still have so much to do! 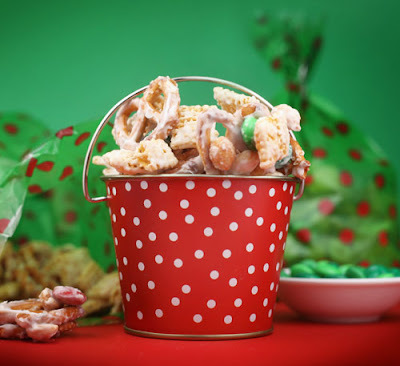 If you are one of those people who have already purchased all of your gifts, done all of your wrapping, and are looking for something to do, Bakerella's newest Christmas creation is too cute to pass up. 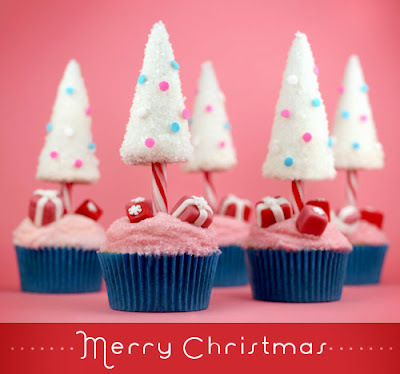 Bakerella's Candy Cane Christmas Tree Cupcakes are easier to make than you would think. She even used a mix to make her cupcakes. 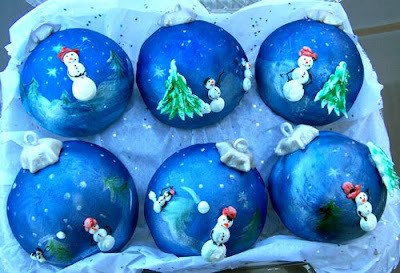 If you don't have a ton of time, I would suggest leaving out the fondant gifts. That Bakerella is so creative! The Food Network will be airing a show called "Cupcake Wars" on December 27th at 10:00pm ET/PT. "Cupcake Wars" is a cupcake competition between four cupcake makers to have their treats presented at the Alma Awards. Not only am I excited because this is a show about cupcakes, but one of my favorite Orange County cupcake ladies is a part of this show! Monica from Two Parts Sugar auditioned for this show about three months ago. Monica blogged a little bit about her audition back in September, but was not allowed to tell any juicy details. Make sure you check out "Cupcake Wars" to see how well she does and to drool at all of the cupcake creations. Cupcakes Takes the Cake is doing a giveaway for a $100 gift card for Johnny Cupcakes. In case you've never heard of Johnny Cupcakes, it is a store, not a cupcake shop. (I fell for it too!) They have some pretty cool shirts, the most famous one sporting the tagline "Make Cupcakes Not War."